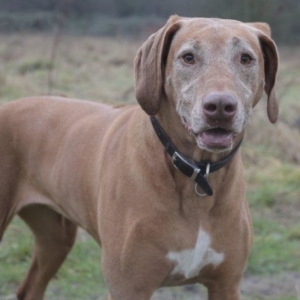 Four-year-old Canicross Champion, Marley, is admitted to Fitzpatrick’s after being diagnosed with severe dysplasia of the elbow. Mel fears his condition will force him to retire from the sled sports the pair regularly compete in. 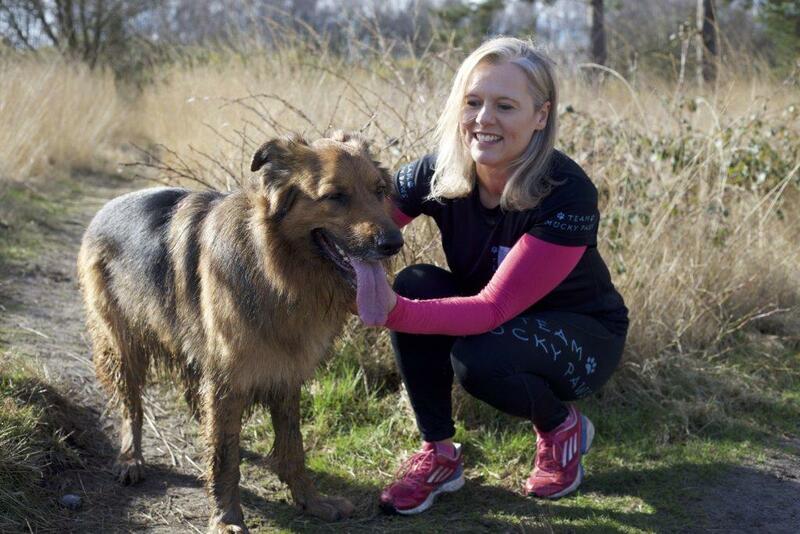 Since discovering Canicross seven years ago, the sport has become a big part of mum Mel’s life. Marley is her best dog, he is the fastest and the strongest and the pair have competed together and won nationally and internationally. 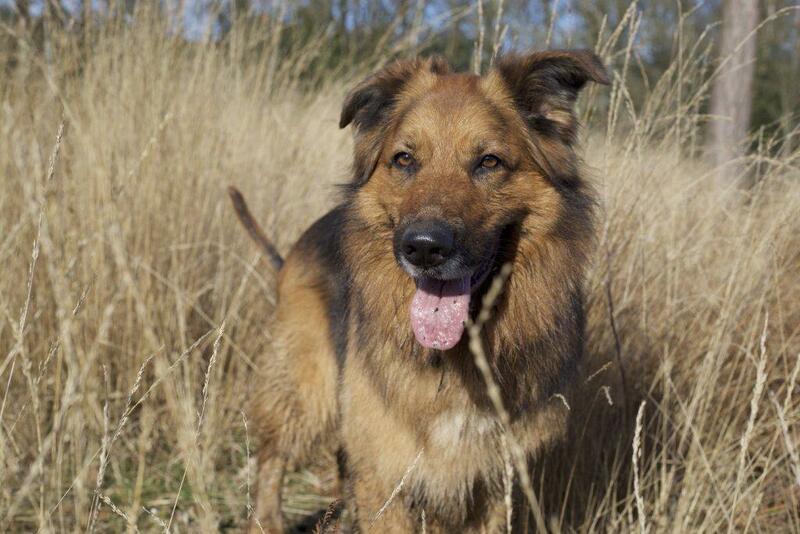 The two are not just firm sporting partners, Marley is the love of Mel’s life. 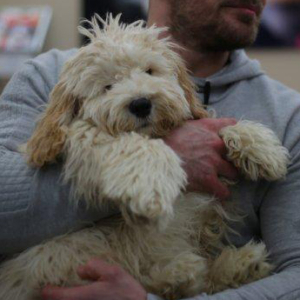 After an initial consultation at Fitzpatrick Referrals and being diagnosed with severe elbow dysplasia, Marley was booked in for an operation with Professor Noel Fitzpatrick. The term ‘elbow dysplasia’ is used to describe a variety of developmental elbow problems involving the humerus, ulna and radius. In Marley’s case, it has caused the humerus and ulna to wear against each other causing cracking and degradation of the joint surfaces between them. In order to redirect the pressure onto the other, healthier side of the joint (between the humerus and the radius) Noel will cut the humerus in half and reposition it using a custom made plate with a step in it; this procedure is called a Sliding Humeral Osteotomy. To enhance the repair, Noel is turning to biology through the simultaneous use of stem cells in the joint, to grow into fibroblast (a cell in connective tissue which produces collagen and other fibres) to help alleviate inflammation and promote resurfacing of the damaged joint. This approach means that it tackles the problem from two angles; mechanically unloading the abnormal forces in the joint to decrease pain and biologically decreasing pain and promoting healing. Once in surgery, Noel extracted Marley’s bone marrow containing the stem cells and sent it straight to the laboratory where they were prepared for use later on. The ‘soup’ of cells are pluripotential stem cells, so when given the right environment they can regrow into parts of the body such as bone or cartilage. Whilst the stem cells are prepared, Noel sets about cutting Marley’s humerus and placing the custom-made plate with additional brackets at the top and bottom of the humerus to make the repair more secure. Once the mechanical repair was complete, Noel injected the prepared stem cells into the joint, which, when combined with an activating glue, further enables the cells to stick down where they’re needed. Twenty-four hours after the surgery, Marley was very stressed and unhappy about being at the practice and it was necessary for the team to call Mel and get him collected earlier than planned. 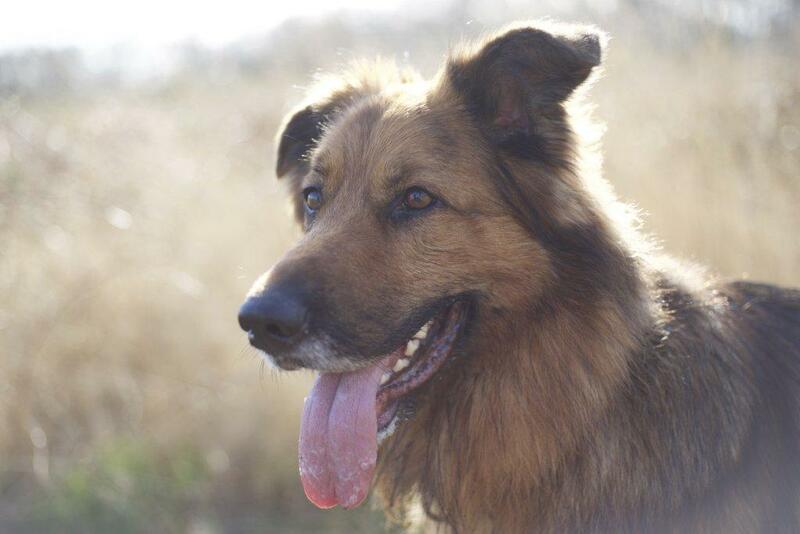 Unfortunately, the team hadn’t managed to win over Marley’s affections and they knew he would be much happier at home and likely to recover much better in his own environment. Six weeks later Marley returned to the practice for x-ray images and a check-up. 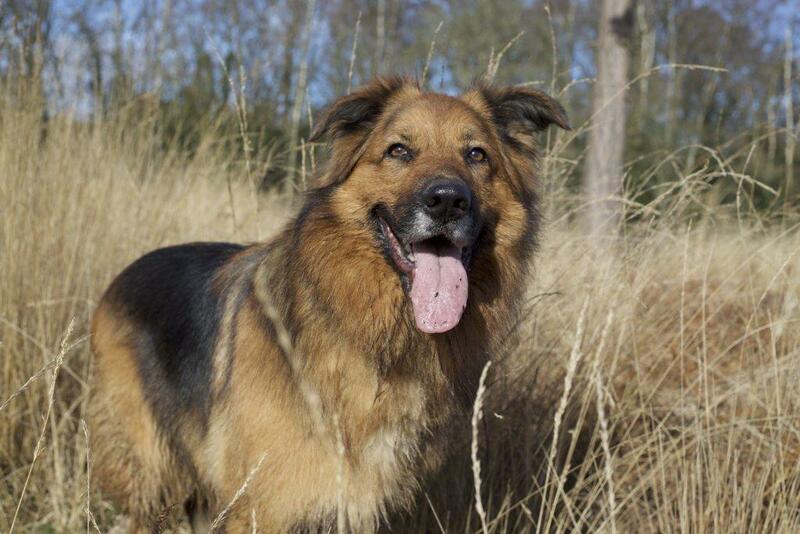 If the images looked good, Marley would be able to step up his exercise, which would help curb his aggressive behaviour. A few months on and Marley is making great progress; he still has a way to go if he is to race again but to Mel that is not as important as him being happy day to day and being active and busy. Though Marley didn’t like the Fitzpatrick team all that much, we were delighted to treat this special dog and protect that valuable relationship between Marley and Mel.